SockSync is designed with you in mind. Its ergonomic design makes sock matching easy. 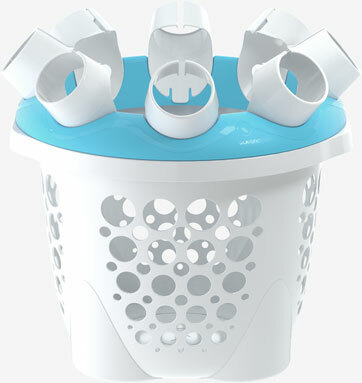 With a 360° spinning top, eight sock-pairing cups and two additional kids-size cups, SockSync helps you sort your sock pile in no time!